Hello and welcome back to Day 3 of Gina K Designs October Stamp Set Release Inspiration Hops! Remember, Gina and the Design Team will inspire you today with many beautiful ideas! And as you hop through the blogs listed below, make sure to leave a comment on each of them because we will choose a few random comments and those stampers will each win a Gina K Designs Grab Bag that could have anything from stamps to paper to embellishments in it! To see the list of winners check the Big News Forum at Stamp TV a couple of days after the hops! 15-Fa-la-la: Go Christmas caroling. Holly berries colored with Copic R22, R24, R27 and covered with Star Dust Stickles. 21-There’s no place like home for the holidays. Traditional favorite family holiday movie night at home – “The Polar Express”. Colored with Copic markers E25, E31, YG95, R24, Y23, R24. Silver jingle bell secured with silver cord. 2-Wise men still seek Him: Star Dust Stickles on the stamped star. 25-For unto you is born this day in the city of David a Savior, which is Christ the Lord: Self-explanatory – the reason for the season. :) Star Dust Stickles on the star colored with Copic Y15. 22-From Our Family To Yours: Deliver homemade holiday cookies and candy to neighbors. All of the tags are secured by small wooden clothespins (spray painted), to a picture frame (which I'll show you a little later). The inside of the frame opening measures 11.50” x 17.50” and was just an old recycled frame that I spray painted red. I'm sorry I don't quite have all my Advent tags finished yet -- I'll be back this weekend to share the rest of them with you! Thank you SO much for visiting the past three days! I hope you’ve enjoyed these October holiday inspiration hops . . . be sure to remember and leave comments on everyone’s blogs, for your chance to win some goodies! Don't forget you still have until this evening to enter my Copic R29 t-shirt giveaway,a few posts below this one! Hello and welcome back to Day 2 of Gina K Designs October Stamp Set Release Inspiration Hops! Remember, Gina and the Design Team will inspire you today with many beautiful ideas! And as you hop through the blogs listed below, make sure to leave a comment on each of them because we will choose a few random comments and those stampers will each win a Gina K Designs Grab Bag that could have anything from stamps to paper to embellishments in it! To see the list of winners check the Big News Forum at Stamp TV a couple of days after the hops! Now, on to the Advent tags I made! The tag bases were made with Gina’s Sandy Beach Heavy Weight cardstock (I love the warm cream color! ), layered onto mats of the above colored cardstock. I used a free Silhouette tag cut file that came with my machine, to cut the tags. To make the tags a little easier to assemble, all of the numbers were punched (1” circle) out of a piece of LilyBee Design 6x6 Tiny Tablet-Christmas Cheer patterned paper, but you could easily cut them with your Silhouette or use chipboard or sticker numbers. The numbers were matted with either Red Hot or Fresh Asparagus punched circles (1.25” circle), layered onto a scalloped circle punch (1.50”). 1-Deck the halls: Decorate the Christmas tree. Silver metallic ink used for ornament hangers and string. 23-Merry & Bright: Drive around looking at Christmas lights. The bulbs were colored with Copic markers and covered with Glossy Accents. 4-Merry Christmas: Hang the mistletoe. Colored with Copics YG91, YG93, YG95 and berries covered with Star Dust Stickles. 3-Winter Wishes: Take family photo for Christmas card. Silver metallic ink used for large snowflake. 20-Warm Wishes: Go ice skating and drink hot cocoa. 8-Sealed With a Kiss: Mail Christmas cards. 24-Mistletoe Memories: A kiss (or two!) under the mistletoe Christmas Eve. I’ll be back tomorrow to show you the remainder of my Advent tags, made with the rest of October’s holiday stamp set releases and the frame that brings them all together! Thanks for stopping by today and for all your kind comments yesterday! Copic Coloring Guide Level 3: People Winner! Before I announce the winner of my Copic Coloring Guide, Level 3: People giveaway, I wanted to share another sweet Saturated Canary image with you -- Ava (she was available temporarily as a free download, but you can find other great images at the Saturated Canary site, including some other free downloads). I've had her lying around almost completed for a few months and decided today she needed to be finished! This sweet Ava image uses some of the techniques you'll find in the awesome Copic Coloring Guide, Level 3: People book! And I colored her like my youngest daughter would probably dress . . . if I let her, LOL! A definite hodge-podge of colors! If you haven't had the good fortune to win a copy of this book, Ellen Hutson LLC has all three levels of the Copic Coloring Guides in stock! As you know, October is the month of Breast Cancer Awareness and this year, the kind people down under at the Copic Oz (Australia) blog are doing their small part to help support and find a cure for this terrible disease. I'm sure most of us have been affected by Breast Cancer in some way, either personally or have seen a friend or family member fight it, so get a little creative and help them raise funds for the McGrath Foundation this month by joining us in the PINK CHALLENGE! For EVERY card entered on this Copic Oz blog post, $5 will go to the McGrath Foundation which does amazing work supporting those affected by Breast Cancer. The donations will be generously donated by X-Press Graph-X -- the Australia distributor of Copic products! Won't you help, by making a pink project (or linking to a previously-made pink project) and posting it there by 6pm Monday, October 29 Australia time (I believe that roughly converts to 3am Monday, US Central time zone!) . . . you still have time! And if they get 100 entries (they are currently at 92), X-Press Graph-X will DOUBLE their donation . . . Now THAT is FABULOUS! Now, on to the winner of my Copic Coloring Guide, Level 3: People . . .
Hi Sharon! what a beautiful card. Your shading is just perfect. I've been working on mine and trying to perfect it. I like your techniques. Congratulations, Sue!! You have an email from me -- if you will respond, I will get your Coloring Guide in the mail to you! I'll be back on Monday with Gina K's October Release Inspiration Blog Hops! Paint the Town R29 Copic Blog Hop! Christmas is coming and to get ready for the holiday, we suggest you double-check your stock of red markers. Already have all the reds? Then why don’t you try on Copic's nifty new t-shirt, hit the town with your fist full of markers, and paint the town R29 (which happens to be my favorite shade of Copic red)! Today the Copic design and instruction team is giving you a chance to win your very own Copic t-shirt! Leave a comment on this blog post to be entered to win your very own “Paint the town R29” shirt! My giveaway will be open until Wednesday, October 31 at midnight and I’ll choose and post the winner on Thursday, November 1. Can’t wait to win? These t-shirts are exclusive to the Copic website. Stores can NOT order them (wholesale), but you can purchase your very own “Paint the town R29” shirt from the Copic store. Check out our growing selection of limited edition t-shirts, exclusive to the Copic site. Please Note: Contest is only open to U.S. and Canada residents. Today is your last day to enter my drawing to win an autographed copy of the latest Copic Coloring Guide Level 3: People. <== Click that link or scroll down a few posts to enter! COMMENTING IS NOW CLOSED AND THE WINNER WILL BE POSTED SOON. THANK YOU FOR ENTERING! JustRite Papercraft-Petaloo Holiday Inspiration Week! This week JustRite Papercraft is very excited to be partnering with Petaloo International to bring you a week of Christmas inspiration using Petaloo's new Flora Doodle flowers and JustRite Christmas stamps! Each day you can visit the JustRite blog and the Petaloo blog to see what each design team has created. There are five different ornaments in this set and one of the smallest was just perfect for my angel to hold! I stamped it onto ivory cardstock and gold embossed it. These ornament stamps coordinate with Spellbinders 2010 Heirloom Ornament dies, so it was a breeze to cut out (using the second to smallest die in the set). Just so you know, in case you'd like to use this same ornament but would maybe like to write in someone's name -- the "Peace" word is separate, so you could just not stamp that. Or you could use the "Love" and "Joy" sentiments and have a trio of Peace, Love and Joy angels for your table or mantle! I also gave her a pearl necklace! Aren't those pretty petite little white Petaloo Forget-Me-Nots beautiful? They already have the pearl centers and have a wonderful fuzzy texture! Thanks so much for stopping by today! If you haven't already, you have until this Friday to enter my drawing for your chance to win the newest Copic Coloring Guide, Level 3: People, a few posts below this one! Good morning and welcome to a very special blog hop! I am excited to announce my participation and publication in the new Copic Coloring Guide, Level 3: People! From the how and why behind choosing colors and coloring skin, to the tips and techniques for coloring hair, to the helpful hints on how to create realistic looking clothing and fabric, this book presents information in an easy-to-follow format. 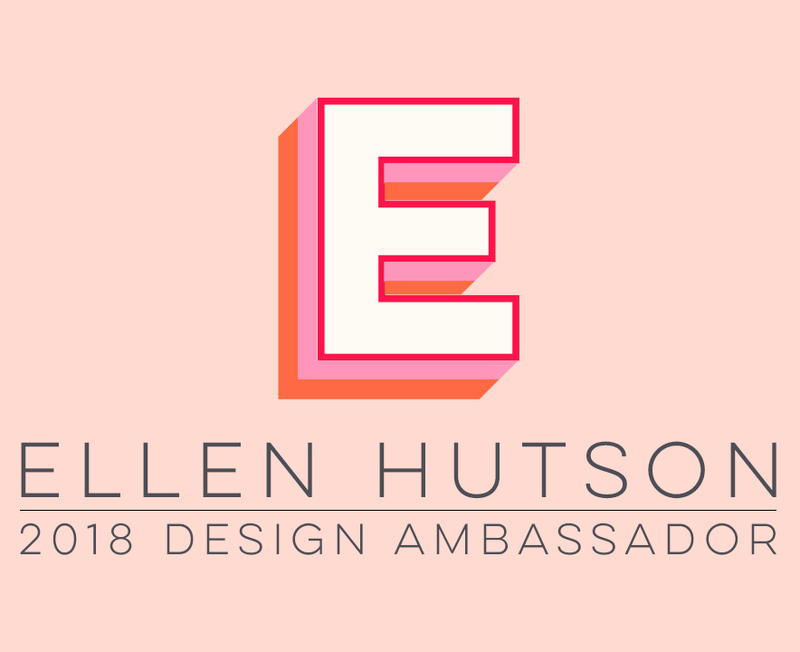 Each participating designer is hopping today to give you a peak at their favorite project from the book -- and a chance to WIN your own autographed copy! I'm beyond thrilled and honored to have my card project featured on the cover! The darling Copica Girl I used is a digital image from Saturated Canary. Isn't she adorable, carrying an apron full of Copic markers?!! She reminds me so much of my youngest daughter, always searching for "her" set of markers to use! You can find all the detailed instructions on how to color this image in the book! To help kick off the celebration of the new book, each designer on the hop is giving away an autographed copy of the book . . . signed not only by Colleen and Marianne, but also by the individual designer, too! Please comment on this post for your chance to win your signed copy of mine! Commenting will be closed at midnight on Friday, October 26th. Winners will be announced on the individual designer's blog (look for my winner announcement on Saturday, October 27!). Good luck! Can't wait to see if you win a copy? Copic Coloring Guide Level 3: People is now available at many stamping and scrapbooking stores, including my favorite online Copic retailer, Ellen Hutson LLC! THIS GIVEAWAY IS NOW CLOSED AND THE WINNER HAS BEEN POSTED. THANKS FOR ENTERING! Good morning and welcome to a fun Friday! This morning I have a tutorial to share with you over in Ellen Hutson's the CLASSroom, on how to make these beautiful felt rolled roses . . . I hope you'll join me! I'll be back shortly with a fun blog hop and GIVEAWAY!! So I stamped this beautiful background a few times, to cover an 8.50" x 11" piece of cream cardstock, and black embossed it. Then I decoupaged it to the front of the MDF frame (Michaels). Next, I stamped the largest label from the Friends Antique Labels One set with cranberry ink onto rose red cardstock and layered the coordinating smaller label frame, stamped in black, on top of it. Thanks so much for stopping by today ... I hope you have a wonderful weekend! The pretty turquoise die cut panel is Spellbinders A2 Fancy Ribbon Threader -- I hand stitched the holes around the perimeter with red Baker's twine and then wove ivory satin ribbon through the "threads" at the top. The corners of the turquoise panel were stamped with JustRite's Clear Lace Medallion Labels. I hope you'll join me and join in all the other challenges, too, for chances to win some fabulous gift prizes! And don't forget about the WCMD sales going on, too -- they are listed in the post below this one! World Card Making Day 2012! Hello Everyone . . . Just a few public service announcements today, on some great World Card Making Day sales I wouldn't want you to miss out on! Ellen Hutson will be kicking off our World Card Making Day celebration! We are so very excited about what we have been working on and we hope that you will join in our excitement! To start off our celebration, on Friday, October 5th and Saturday October 6th save 15% on ALMOST EVERYTHING (Copic products excluded) in the store! This offer is good on in stock items only, so be certain to shop early for best selection. Just click on the banner above to get started shopping! Then upon reaching the checkout page you will find the box to insert the following promo code - please type the code, rather than copying and pasting, exactly as shown WCMD2012. And guess what?!! Ellen's stock of the brand new Copic Coloring Guide Level 3: People is in stock! And since it's NOT a Copic product, it will be on sale, too! Just click the photo at left to get yours! Have I told you yet how giddy I am to have my artwork featured on the cover?!! Look for a CLASSroom blog post soon, for a tutorial on coloring people that I'll be doing! Your day of fun begins over in Ellen's the CLASSroom, where I'll be hosting a WCMD challenge, so I hope you'll join me for a little sketchy fun (wink)! There will be several challenges throughout the day and you'll want to participate in all of them, for your chances to win some fantastic prize packages! We hope you'll join us! And you CAN combine this offer with Gina's monthly standing one free stamp set with the purchase of 3 stamp sets valued $19.95 or more offer, which would also qualify you for the FREE shipping within the US WCMD offer above ... Now that's a fabulous deal! Just click on the graphic above to start shopping! I look forward to sharing in World Card Making Day with you! The Design Team for Gina K Designs welcomes you to another fabulous Inspiration Blog Hop, with the September release stamp sets! Gina and the Design Team will inspire you with many beautiful ideas! And as you hop through the blogs listed below, make sure to leave a comment on each of them because we will choose a few random comments and those stampers will each win a Gina K Designs Grab Bag that could have anything from stamps to paper to embellishments in it! To see the list of winners check the Big News forum at Stamp TV a couple of days after the hops! Once again, I used the Primitive Blessings Studio Cut File to make this card quicker to assemble (can you tell I’m hooked on my Cameo?)! The darling house was stamped on Gina’s Ivory cardstock and colored with the Copic markers listed below. It and the cute sheep are popped up on foam tape. You can find my tea recipe here. I loved the combination of this sweet angel from the Primitive Blessings set, with this pretty “Wishing you peace” sentiment. The Seasonal Labels Studio Cut File was cut and then stamped with the pretty swirly label onto Sandy Beach cardstock. The angel was also stamped on this cardstock and colored with the Copic markers listed below and her wings accented with Clear Spica Glitte Pen (I love how well it shows up on this cardstock)! Thanks so much for stopping by this week to visit, I always enjoy all of your comments! I wanted to make a subway art style framed home décor piece and Beth’s coordinating Wicked Studio Cut File made this project a breeze! I just cut all the images with Gina’s Heavy Base Weight White Cardstock (with a blade setting of 10), and then placed them on a 5”x7” piece of white cardstock and moved them around until I was pleased with the layout. Then I stamped the images in alternating ink colors. I think I’ve said it before, but I’ll say it again because it bears repeating . . . Gina’s clear stamps are absolutely FABULOUS when it comes to getting a good, clean, perfectly stamped image, right out of the package! Each time I use them, I’m amazed – especially with solid stamps like these and what a great impression you get! Some of the images were popped up on foam tape and the ghost and spider just HAD to have wiggle eyes! The ghost was stamped and heat embossed with iridescent embossing powder. Someone (cough--my dear husband--cough) has a birthday today, so I thought the “Say what?” sentiment might work well for a birthday card . . . along with adding “You’re how old?” and his age inside . . . just in case he forgets, LOL (just kidding -- love you, honey)! I simply typed these inside elements into my Cameo and cut them -- how easy is that?!! The Silhouette cut files make this card a breeze . . . just cut out the shapes (I used Gina’s Heavy Base Weight White Cardstock with a blade setting of 10), stamp and assemble with foam tape. The cute chevron cut out piece behind the telephone booth is ATC sized and comes from Becky Oehlers darling Like An Open Book Silhouette cut file – it happened to match the size of the stitched piece from Tami’s Take Note set perfectly! The chevron design at the bottom of the Ocean Mist cardstock was stamped with Versamark. Thanks for stopping by today, I’ll be back again tomorrow with more new releases from Gina K Designs!